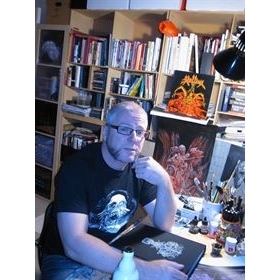 DREW ELLIOTT is an American artist who has been involved in the Metal scene since 1984. His work appeared in Zines like Blatch, Black Market, War and Pain, Pump N' Slush. 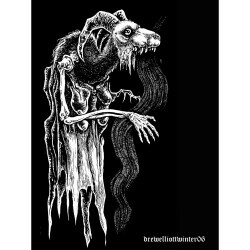 He has worked with New Renaissance, Southern Lord, Metal Blade, Azra Records, BlackMetal.com Records and Hell's Headbangers. He descripes his work as "The howls growls and moans of an atomized wage slave."